Shirley Bennett, Peggy Kyle Birdus, Anni Campbell, Tom Dale, Barbara Deck, Rudy Deck, Carol Dyer, Darrell Dyer, Margaret Elphick, Robert Elphick, Marilyn Engle, Kay Foss, Jan Graham, Irene Gustafson, Carol Harrison, Aloha Hart, Sue Hartin, Ken Hofkamp, Molly Hughes, Mitch Incarnato, Michele Johnson, Sigi Johnson, Sandy Leake, Sally Montano, Gordon Nowack, Carol Parbs, Linda Schrock, Chuck Schwantes, Judy Smith, Jim Stroh, Peggy Swart, Cheryl Thomas, Patricia Warren, Karen Whelan, Paul Whelan, Barbara Wood, Debbie Wysomierski, Bill Young. 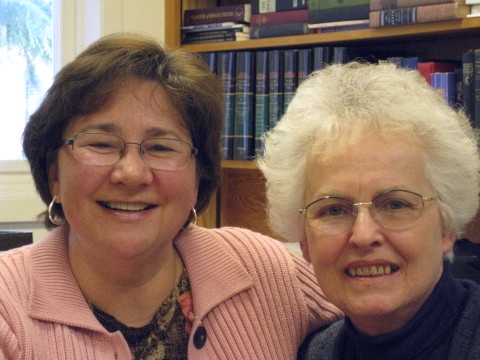 Molly Hughes is the President of the food bank, and Cheryl Thomas is in charge of our food inventory. Cheryl makes all of our purchasing decisions, orders fresh produce for every distribution, and decides what food will be given out every month. She watches all the weekly sales and stretches our dollars to get the "biggest bang for our buck." She develops our holiday bags to help make them special for our clients. Cheryl manages our food inventory and budget so that our clients are guaranteed a good supply of staples and fresh food every month. 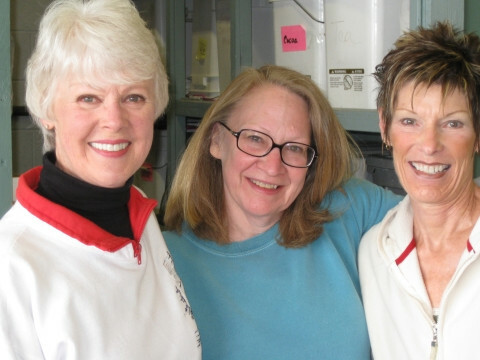 "Go To Girls" Barbara Wood, Margaret Elphick, and Carol Harrison are three of the best cross-trained volunteers at the food bank. They bag food for the clients, re-bag bulk food, are distribution back-ups and help with food drives. Carol has also made deliveries, conducted tours of the food bank, and works with the schools. 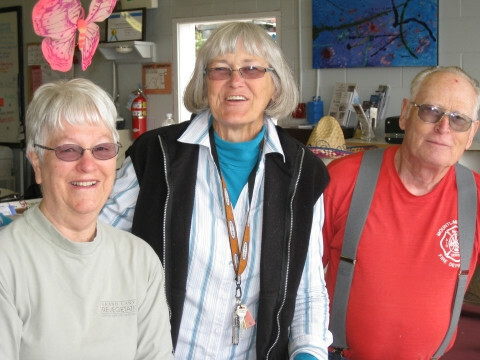 Their many years as volunteers and willingness to step in wherever needed make them invaluable assets to the food bank. 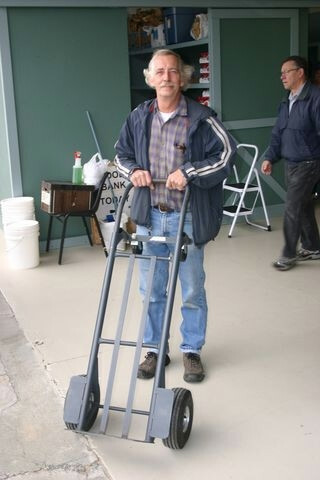 Tom Dale has been a volunteer for the food bank for eight years. He drives to NW Harvest twice a month, picks up our food drives, helps with all our "heavy lifting," and is our parade driver. His dedication to the NW Harvest runs to Kent is a huge commitment. We receive 30% of our food from NW Harvest, so these pickups are critical to the success of the food bank.